Headed back to Texas with Josh after a fun weekend in Chicago, enjoyed a rainy spring day, drank a lot of Goji and raspberry green tea (so good! 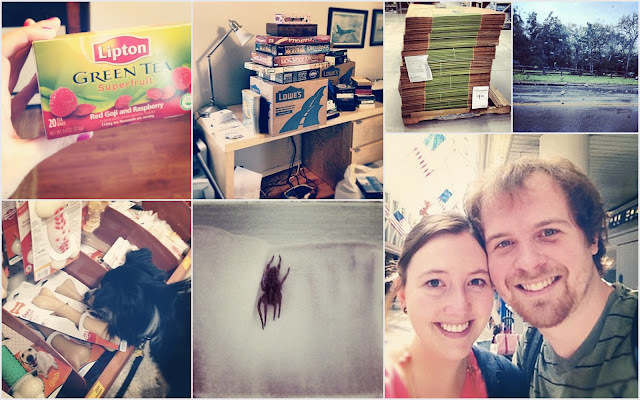 ), killed a monster spider, visited Petsmart with Macintosh, picked up boxes, and started packing and all the moving "fun" that goes with it! I also tweeked the blog here and there--I'm no pro, but I wanted to freshen it up a bit. What do you think?